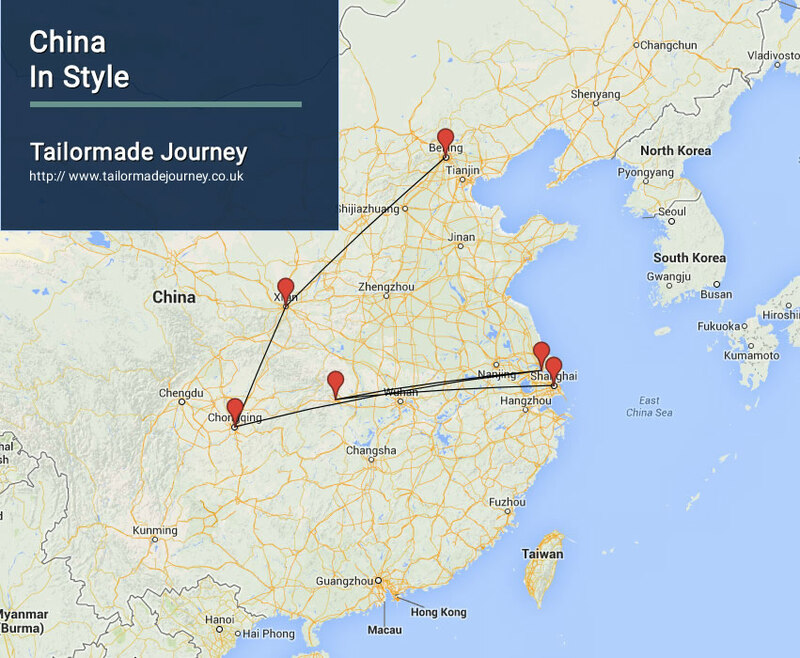 Experience the Beautiful Scenery and Historic Sites of China Through this Tour. Travel through the Three Georges in an Unforgettable Yangtze River Cruise. Arrive Beijing 3 Nights > Flight Xian 3 Nights > Flight Chongqing > Start Yangtze River Cruise 3 Nights > Arrive Yichang > Flight Shanghai 2 Nights & Leave. Upon arrival in Beijing Airport you are met and transferred to your pre booked Hotel Enjoy the rest of the day at your leisure. Overnight stay at Hotel in Beijing. After breakfast full day city excursion to Tiananmen Square-the largest square in the world, Forbidden City-imperial palace of Ming and Qing Dynasty, and Temple of Heaven-here ancient emperors prayed for good harvest. The Tian’anmen Square: The largest city square in the world. Today you are transferred to Beijing Airport to board flight for Xian.-the ancient capital of China. Upon arrival meet and transfer to hotel for check in. Lunch at local restaurant followed by visit to Shaanxi Historical Museum and Ancient City Wall. The Provincial Museum: Which is one of the best Museum in China and where you can learn a lot about the 5,000 year brilliant history of China. Overnight stay at Hotel in Xian. After breakfast Full day excursion to world famous Terracotta Warriors and Horses with circle movie showed before returning to the city for visit of the big wild Goose Pagoda and the Grand Mosque. Breakfast at hotel, transfer to airport for flight to Chongqing. On arrival, meet and tour to Panda Zoo and Eling Park with lunch en route. Panda Zoo: Located in the west of Chongqing City, It is one of China’s Mid-scale zoos, and is set amid rolling hills and beautiful natural scenery. Eling Park: Eling was originally named Edingling (Goose Nape Hill), for its narrow and steep shape resembling a nape of a goose. Depart Chongqing 8:00 am. Shore excursion at Fengdu. Fengdu: known as the “Ghost City” and is a place for punishing the devil and awarding the good. Overnight stay at Hotel in Shanghai. Nanjing Road: the longest commercial street in China, lined with big department and specialty stores, upscale boutiques, and a variety of fine restaurants, enjoying the reputation of “China’s No.1 Street”. Today you are transferred to Shanghai Airport to board flight for your onward Journey.